Filters in ASP.NET MVC are a way to apply cross-cutting logic at the controller level. Some examples of cross-cutting logic is Security and Logging. Security is a cross cutting concern because, once enabled, we need to apply it for all incoming requests in the web Application. Imagine a world where you don’t have filters, in such case for every request that comes in, your Action method in controller will have to check if the user was Authorized to perform the action and view its result. Apart from using the Filter Attribute, each controller class implements all four interfaces; so if applying an attribute is not something you prefer, you can override the methods in your controller class if you want. One neat use of IActionFilter interfaces I’ve seen is by Ayende Rahien to save Data in RavenDB. Ayende uses the OnActionExecuting method to open a RavenDb Session and the OnActionExecuted method to save the Session data if there are no errors. 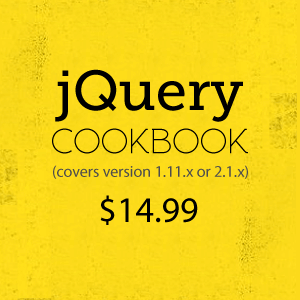 This leaves the Controller method with the responsibility of checking/validating the incoming data only. In the above example, Ayende overrides the interface method of the controller itself thus making a base controller for you to derive your controller classes from. 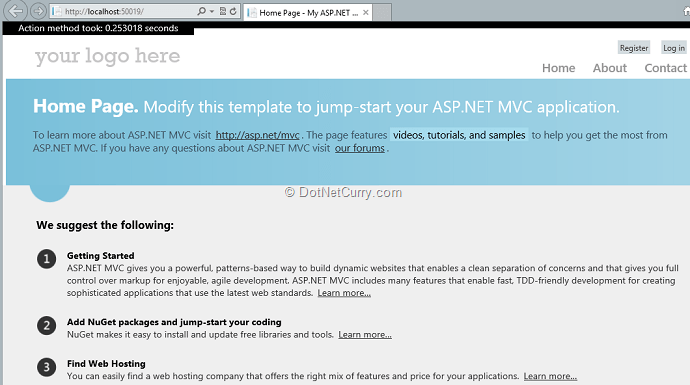 With that we conclude this introduction to ASP.NET MVC Action Filters. 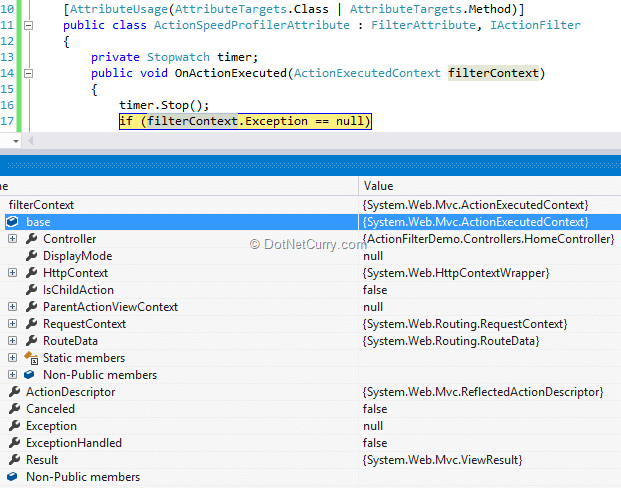 As you can see, they are a ‘catch-all’ type of Filters in MVC where you can write implementation to do pre or post processing of Action Method calls. One sample use we saw was creation of a simple speed profiler. I want to implement totally Custom Authentication and Authorization based on Roles and Rights on specific area of web application. How can we achieve these using Custom Action Filters? I've been trying to figure out why everyone refers to OutputCache as a result filter. It actually does all the caching and retrieval from the cache inside OnActionExecuting, and not OnResultExecuted/Executing. I have a basic question that I can't find an answer to online: Do the attributes execute when the action method is being unit tested? @Rick Good question. AFAIK you'll have to use Reflection to verify an attribute.